How Much Does it Cost to Move a House in Canberra? Essentially, there are two ways to move houses in Canberra; DIY moving or hiring professional removalists in Canberra. When moving houses on a budget, DIY moving may seem like the best choice, however it is always best to do some research to make sure your decision is well informed. When you calculate the costs associated with moving houses in Canberra, it makes sense to entrust the job to professional removalists who can deliver an efficient, stress free move. The most common reaction from Dawson Moving & Storage customers at the end of moving day is “that was the best money ever spent.” Click here to read real reviews from Canberra based clients. These savvy movers experienced the luxury of beginning their new chapters with energy and a lot less stress. All of whom agree that the extra few dollars spent on professional moving services was well worth it. The above prices are approximations only. 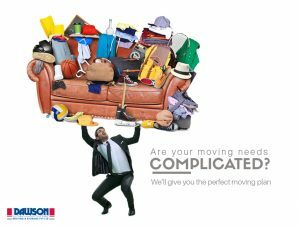 To find out exactly what your Canberra move will cost, talk to the expert customer service team at Dawson Moving & Storage today. Call (02) 6260 1214.